Like the simple farmhand who shut the gate after the horse had bolted, I thought I'd write about a bit of Sydney history almost a year after the event. Just for a change from talking about the weather. 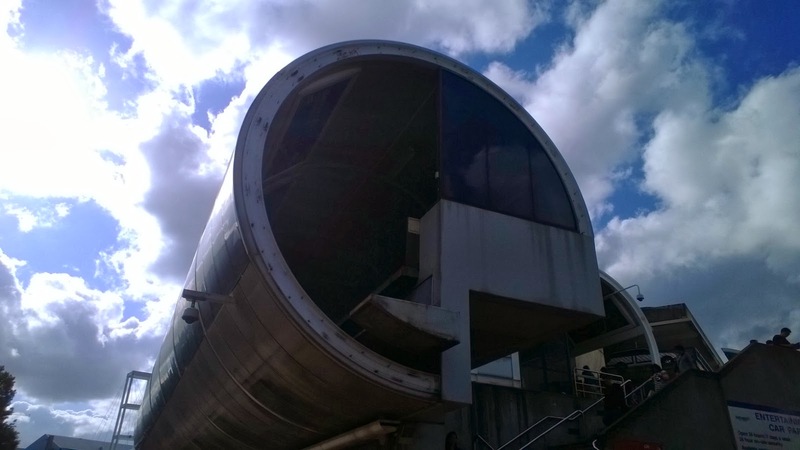 The unusual looking tube above is what's left of our old Monorail system. This particular section was once a station at Darling Harbour. 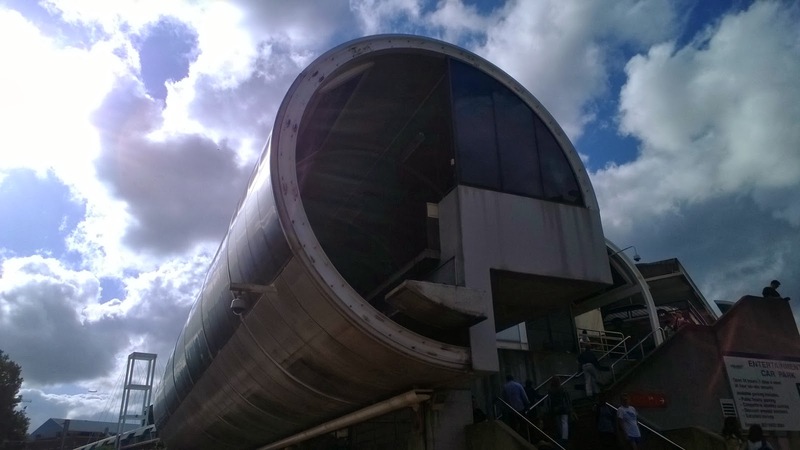 After 25 years and countless problems, the NSW Government decided to pull the monorail down, and it was decommissioned in July 2013. Lots of commuters rode the monorail in it's final days. A lot more than it's usual load. I had mixed feelings about it being pulled down. Nostalgia made me think that I would miss seeing it around, while sense dictated that the roads would be a little less cluttered and a little more sunny with it gone. Then I stopped thinking about it altogether. Labels: City, History, Memories, Sydney Harbour, Sydney Icons, Sydney sights. Here we're entering in on massive expansion of our light rail network. Aw, a bittersweet story. Enjoy the sunshine. William Kendall: Yes it is odd considering our public transport system has much to be desired. Actually I think an overseas company have bought it. Channel tunnel is also stressful.